The Museum of Fine Arts in Budapest will be closed for the renovation of the building from 16 February 2015 until the end of 2017. During this period a highlight-selection from the Museum’s collection will be on view in the Hungarian National Gallery (in Buda Castle). The Museum will reopen in 2018 with brand new exhibitions and new spaces. 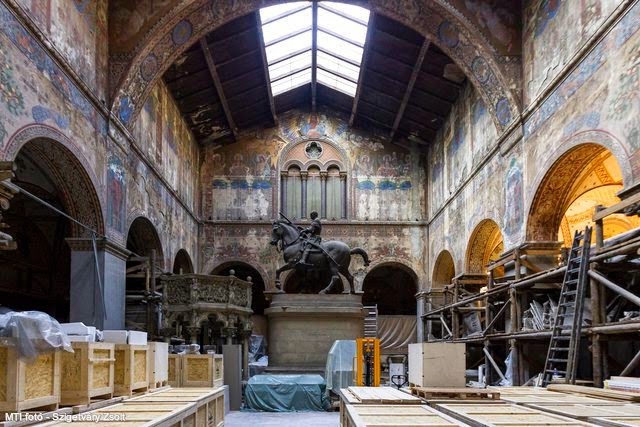 The most important part of this renovation process will be the restortion of the so-called Romanesque Hall of the Museum, which had been closed since 1945. 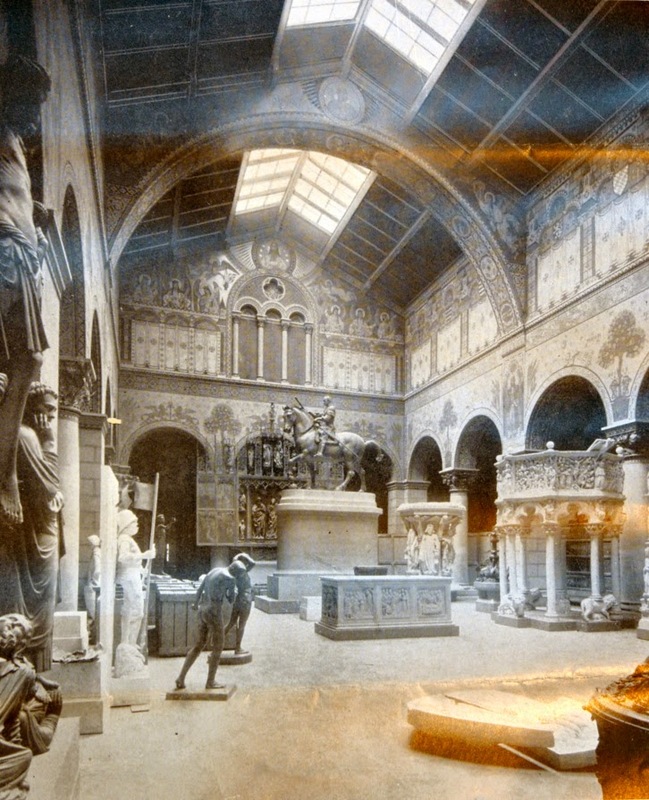 Since then, the space has been used as a storage space for the fantastic collection of plaster casts of medieval and renaissance sculpture, accumulated in the early years of the Museum's history. The plasters casts will be restored and put on display in a newly created museum space at the 19th century fortress of Komárom (see this article, with visualizations of the plans). Some other will be moved to the newly created National Museum Restoration and Storage Center, which is being developed on the site of a hospital, located behind the museum - see the plans in this article. In addition, several other spaces of the museum will be restored, and new underground areas will be created for the storage of artworks and for a new space for large temporary exhibition. The entire heating and air-conditioning system of the museum will be redone, as well. This Hungarian language article in Népszabadság has more details. The renovation of the museum and the other developments mentioned above are all part of the controversial Liget Budapest project, which is aimed to create several new museum in City Park (read more on it). During the years of closure, the Museum of Fine Arts will continue to organize exhibitions in the Hungarian National Gallery, which was joined to it a few years ago. Highlights from the permanent collection will also be shown there. 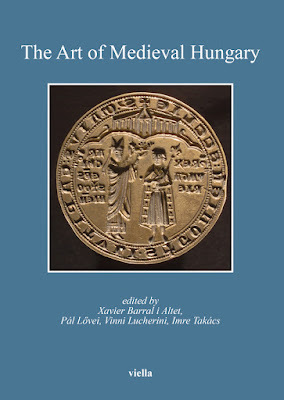 See also this video about the Romanesque Hall from Szépművészeti Múzeum on Vimeo. 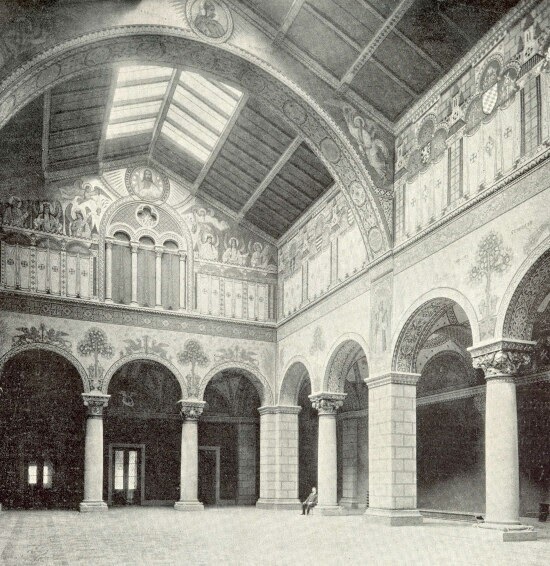 Was the Romanesque Hall of the Museum based on any particular building in Budapest or elsewhere? The reason I ask is because the hall in 1906 looked to be carefully designed. Too fancy to use as storage space. Thanks for the post. I am looking forward to The Museum of Fine Arts reopening.